Access All Areas members have a useful set of textures to download this week, courtesy of Heather Noll Design. This Grunge Halftone pack includes 14 high resolution 4000x6000px Bitmap files that can be used individually, or blended for different effects. There’s a variety of surface textures to choose from, including stains, heavy dirt and ornate patterns. Heather Noll is a professional Graphic Designer who works for a local weekly publication producing cover art and print & digital advertising material. In her spare time Heather also loves freelancing and creating design assets for her Creative Market store, where you’ll find a range of products including textures, patterns, brushes and add-ons for Adobe Photoshop and Illustrator. 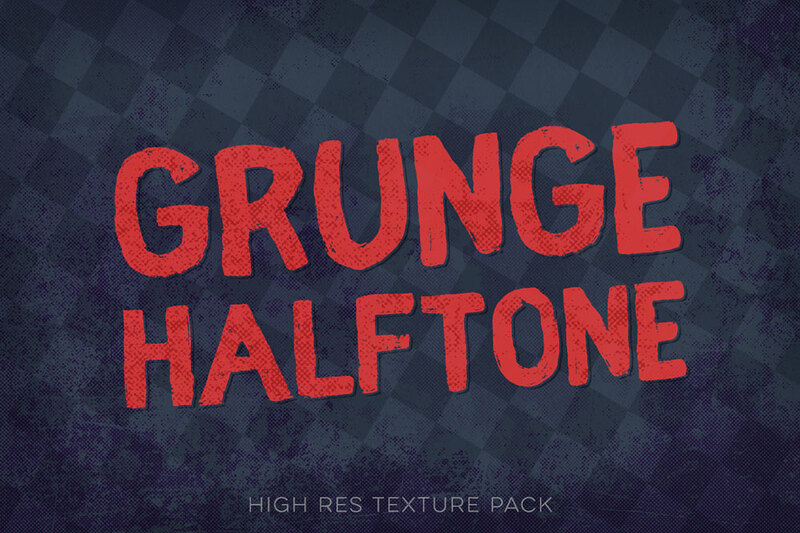 This set of Grunge Halftone textures contains 14 high resolution images to add dirty effects to your artwork. Being Bitmap files means they’re widely compatible with all image editing software, and are particularly useful in Adobe Illustrator where the colour can be changed directly with Illustrator’s fill tool. Oh, cool! These are very nice! Thank you! !